N-230, km. 169, 25537 Arros, Spanje. 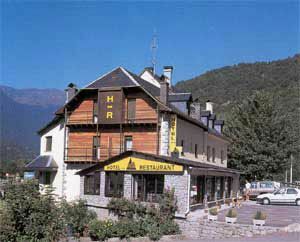 A hotel in the heart of the Aran Valley. 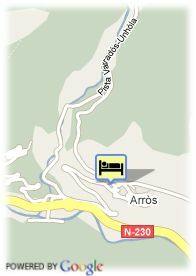 This mountain hotel is located at six kilometres far from Veilla, totally in the centre of the Aran Valley. There is a beautiful high zone surrounded by the nature and samples of Romanesque art. Among its usual facilities, the hotel Peña has a garden with children´s games, an air-conditioned swimming pool, with whirlpool, sauna, massage cabin, solarium and play room, among others. Its friendly rooms give the quality sensation nedeed by a guest from a mountain hotel. Some of the rooms has mansard form and are totally wooden made. Its servicies include the posibility of organizing trips, adventure sports, culural routes or rides, everything including the necessary equipment, insurance and guids.